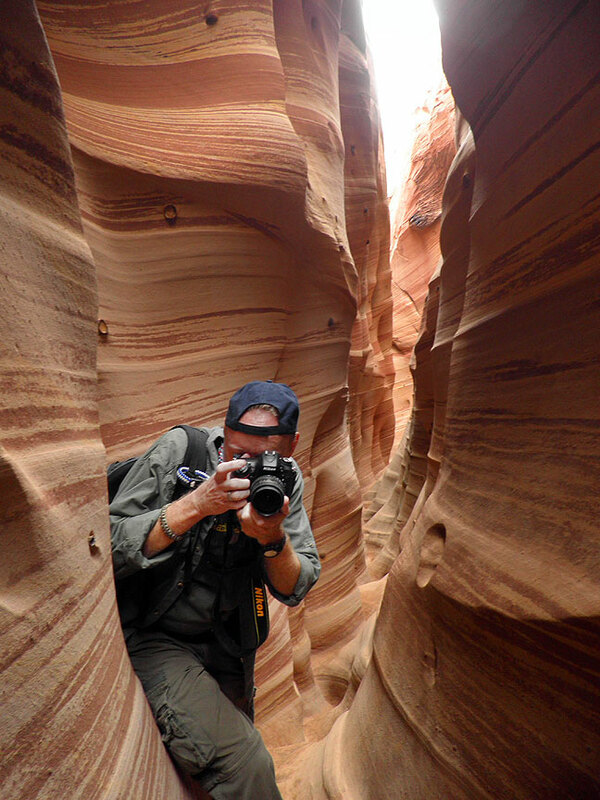 Your host explores the Zebra Slot Canyon in southern Utah’s Grand Staircase/Escalante National Monument in April. It’s another year, and time for the roundup. In March, I moved from my old office/darkroom at work, which I had occupied for 25 years, to a new, bigger space at The Ada News. At the end of March, my wife Abby retired. I explored the deserts of northern Arizona and southern Utah in April on a trip called Off the Map. In mid-April, I drove to Magnolia, Arkansas to shoot the wedding of my good friend Dan Marsh to Christa. Abby was critically ill and hospitalized for eight days in May. In June The Ada News began buying new cameras for me. I gladly welcomed the Nikon D300S in to my workflow. Also in June, Abby found a five-burner propane grill on sale, starting a new mealtime tradition for us of cooking out mostly vegetarian. I created a unified Shoffner Family Reunion page after the latest reunion in October, Tipsy vs The Mayfloat, which was the first reunion our grandson Paul was able to attend. October 12 marked our 11th wedding anniversary. Also in October, I explored my old haunt, the Wichita Mountains, on a trip called The Ferryman. In December, Abby and I travelled to Baltimore to see her daughter Chele, her husband Tom, and our grandson Paul, for a Blair Witch Christmas. 2015 was the rainiest year on record in Oklahoma. 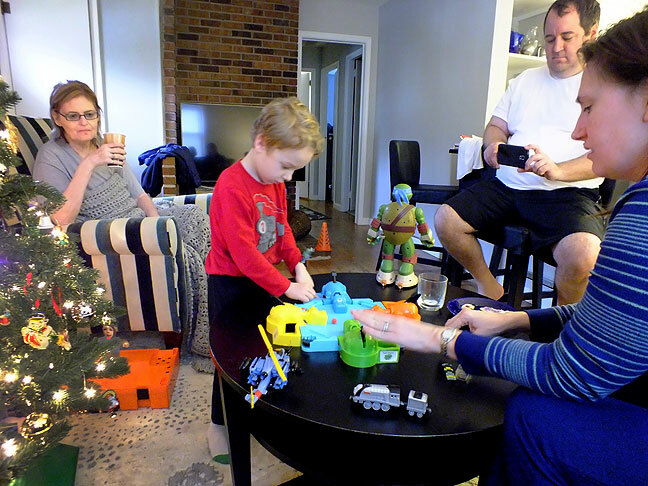 Abby, Paul, Tom and Chele share Christmas morning. It was our first opportunity to spend the holidays in Baltimore. Nice! A few more tick-tocks and we start another one.